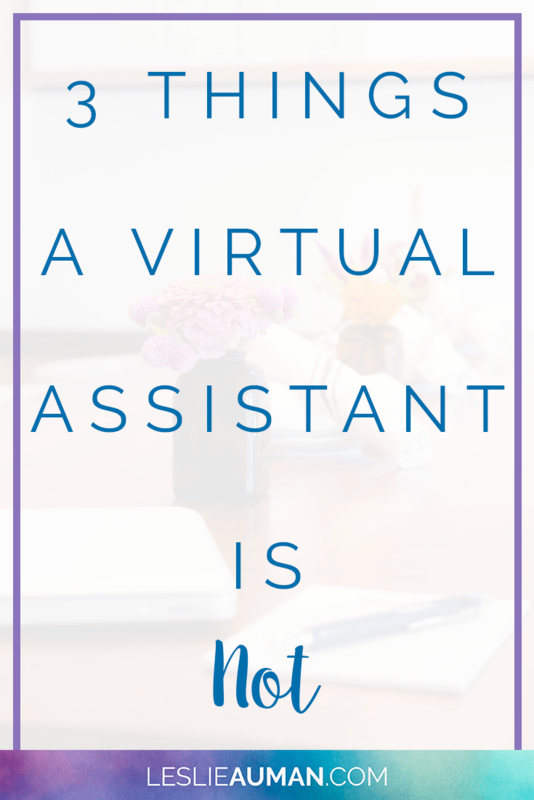 Let’s dive into the post and start chatting about three things that a virtual assistant is not. A virtual assistant is not a social media manager. One of biggest misconceptions I see is that many Teacher-Authors think that virtual assistants are social media managers, when actually, these two things are not the same thing. Yes, there are some virtual assistants who offer some type of social media management, such as scheduling Facebook posts to a client’s business Facebook page. However, when I used to do this kind of work, I made it clear to my clients that I was only agreeing to schedule the type of content that they’d explicitly told me they’d like shared and that I wasn’t making any promises whatsoever as to their engagement, reach, page growth, and so on. I simply haven’t taken any online courses, read any books, or done anything like that to give me the knowledge a that a true social media manager has. A social media manager is someone who does have that type of knowledge and experience concerning the algorithms of social media platforms, the best times to post for the most engagement, and the latest trends and “best practices” in various social media platforms. Therefore, a social media manager has a more specialized skill set (and can charge more for their services). Part of their job is to keep up with the trends and to regularly update their knowledge about social media so that they can provide their clients with the best service possible. While I, as a (now former) VA, have some basic information about this sort of thing, I don’t usually have time to learn more – at least not at this juncture in my life and business. This is why I try to make it clear to clients that I make no promises, and for potential new clients who are inquiring about more of the true social media management, I always get them referrals to social media managers and send them on their way. It’s not worth it to me to attempt that kind of service and fail at it because I don’t know enough. That not only disrupts the client’s business and has negative impacts for her, but it also tarnishes my reputation. So, if you’re a Teacher-Author looking for someone who can do true social media management for you – helping you grow your Instagram following or helping your pins get more engagement, for example – be sure to do your due diligence and search for someone who has that kind of experience and knowledge. A virtual assistant is not an employee. 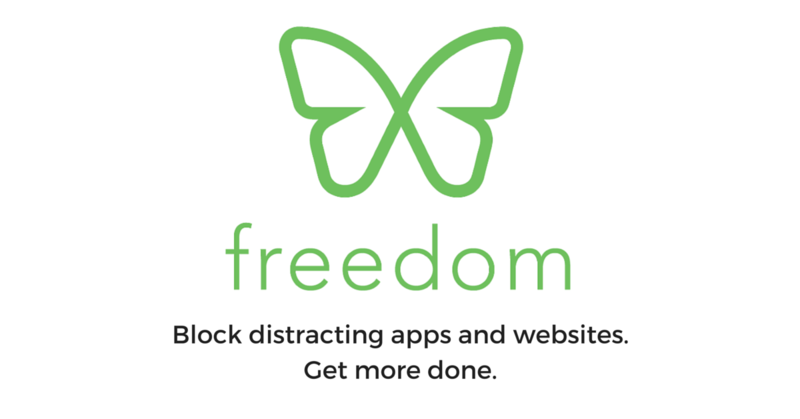 A while back, I wrote this blog post about how VAs are business owners. So, that should nip this particular thought process in the bud, but I’ll go ahead and dive a little deeper into it. 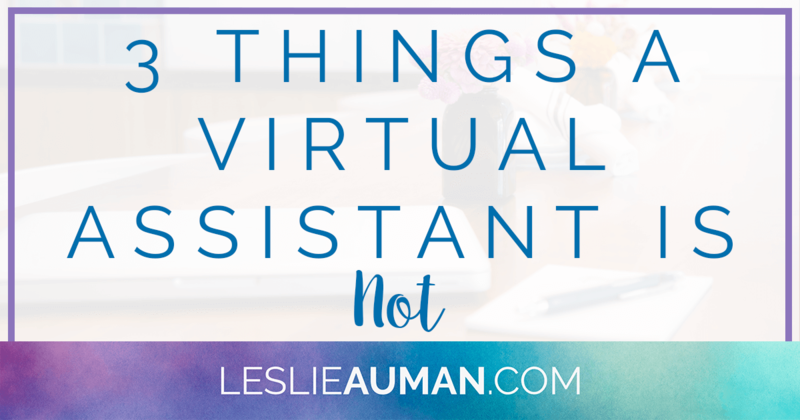 A virtual assistant is not an employee of a client, and if you were to take time to think about it, I think you’d agree (as a client) that that’s not what you want. Traditionally, an employer provides employees with benefits – health insurance, dental insurance, life insurance, paid time off, sick time, and so forth. There are also expectations surrounding bonuses, promotions, staff meetings, and those kinds of things. I’m guessing you don’t really want to provide benefits to your VA, nor could you afford to do so, most likely. However, a VA is actually an independent contractor working with a client. This means that the client doesn’t have the leverage to delegate how a VA spends her time working, to make demands more reminiscent of an employer-employee relationship, or to run the show. So, as you venture into working with a virtual assistant, do your best to remember that the VA is not about to become your employee but is rather an independent contractor running her own business. Strive for open communication, and ask questions whenever you need to. The right VA will do her best to answer those questions and to get to the bottom of things so that you’re both clear about your roles moving forward. A virtual assistant is not untrained and unskilled. It’s not necessarily true in the niche I serve, but I’ve definitely seen some posts and things around the internet that indicate to me that there are people who think that VAs are untrained, unskilled workers. On the contrary, I actually have both a B.A. and an M.Ed. in Middle Childhood Education. While I may not know everything there is to know about every possible service I may decide to offer (which is why I only offer ones that I do feel confident about), I’m actually highly educated. In my case, this works well because my clients feel more comfortable working with me, knowing that I used to be a teacher and that I understand what type of content is appropriate to share on a client’s social media page or what teachers are looking for from things they buy. So, if you’re going into your working relationship with your VA thinking that she’s untrained, you’re going about it wrong. I’ve never met (virtually) a VA who doesn’t have a degree in something, and moreover, many VAs have experience working with other clients, unless they’re just starting out. They had to learn the services they offer somehow, which was either by doing those things for their own businesses or by doing them for other clients before you. This is the most basic form of respect, I think – understanding that your VA does indeed have experience, skills, and training and treating her as such. 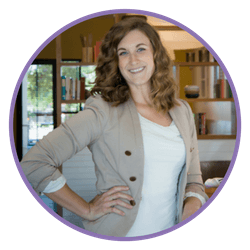 If your VA doesn’t know how to do a service you’re requesting, then consider if you’re willing to let her learn how to do it on your time so that eventually, she’s mastered it and you don’t have to worry about it. Or, if it’s too big of a risk for you, then ask her for referrals to VAs who are already competent in that service. I hope this post helped shed some light on the relationship between VAs and clients. Thanks so much for reading!